A deal that would see Spanish top-flight games staged in the US has outraged players, who may strike over the league’s first overseas fixture. LA LIGA PLAYERS could take strike action over a deal to hold Spanish top-flight matches overseas for the first time. Last week, La Liga announced it was partnering with sports and entertainment company Relevent for a 15-year deal pitting two top Spanish teams together in the United States once a season. It would represent the first time a La Liga match would be played overseas and players are not ready to accept the terms of the agreement. 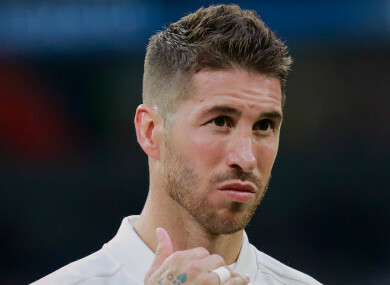 Stars including Real Madrid captain Sergio Ramos and Barcelona midfielder Sergio Busquets were reportedly present as the Spanish Footballers’ Association (AFE) met on Wednesday to discuss the proposals. “The players are outraged, very surprised, and are all against it. It’s unanimous,” said AFE president David Aganzo. “The players don’t want to play overseas. Things have to be done in a more coherent way and with common sense. “A decision of this magnitude, that affects players, referees and fans, was taken unilaterally and is a lack of respect. “I have information that there are certain clubs that are in favour [of strike action] and others against this, but I represent the players. “We need to sort this out with the union, and we will tell them all of our problems. If, from then on and after a few days, they don’t answer, then we will have to solve the situation. Aganzo went on to say the deal struck with Relevent - the firm behind pre-season tournament the International Champions Cup – was done without consulting players and has not taken into consideration La Liga’s busy schedule. “This agreement that La Liga has reached without consulting anyone shows a lack of respect,” added Aganzo. “It’s not just the game as such, in terms of health and travel, it just makes no sense to have a game played in the United States and have one team have to give up a home game. Email “'Outraged' La Liga players considering strike action over games in United States”. Feedback on “'Outraged' La Liga players considering strike action over games in United States”.